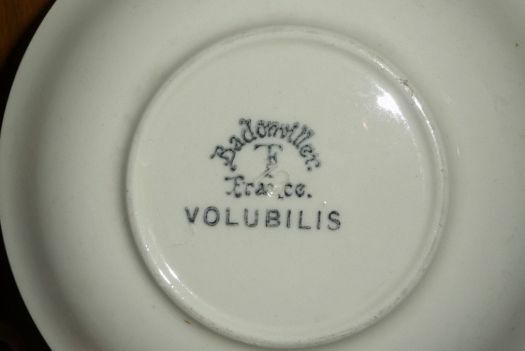 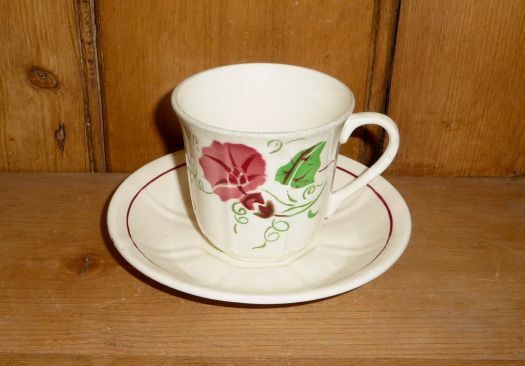 4 nice cups and their saucers, model "Volubilis", from Badonviller's manufacture. 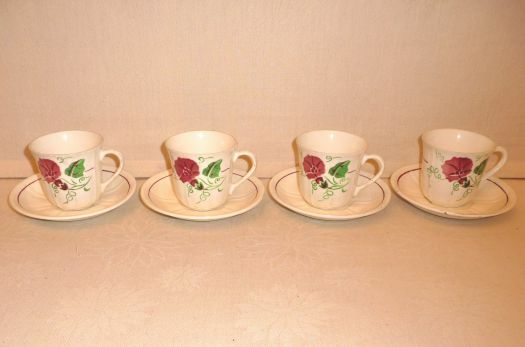 Condition is OK : no chip, no crack, no stain, they have been used but can continue ! 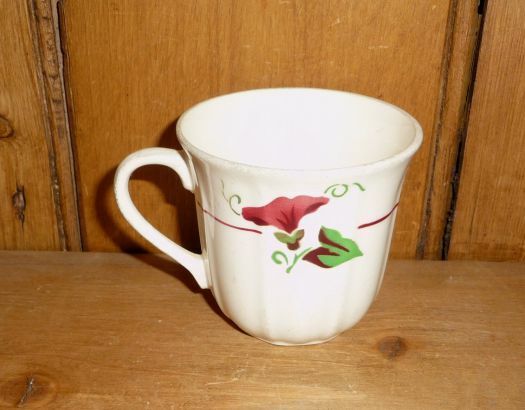 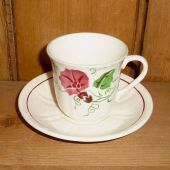 Cup : height 6,4 cm ; diameter 6,8 cm.